WHEN Thailand’s new school year begins in May, teachers and schools across the country will begin the process of aligning their English language teaching with the Common European Framework of Reference for languages (CEFR). This alignment with internationally recognised language standards is a positive step towards raising the standards of English in Thailand, but it is going to take strategic planning and hard work to realise these goals. The CEFR for languages was developed by the Council of Europe over more than 20 years before being officially launched during the European Year of Languages in 2001. 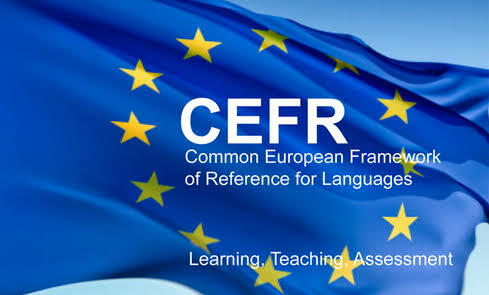 Since then the CEFR has grown in popularity both in Europe and across the world. The framework is used to benchmark communicative language ability in reading, writing, speaking and listening. The CEFR is divided into 3 levels; basic users (Level A), independent users (Level B) and proficient users (Level C). The table below summarizes the abilities for learners at each level while the entire framework can be downloaded from the Council of Europe’s website. The Thai Ministry of Education has set the following English language proficiency targets for students in Thailand. These targets are realistic goals for a country as dependent on foreign tourism as Thailand. The targets for Grade 6 and Grade 9 are certainly within the reach of schools that emphasise English language learning, but the Grade 12 target of B1 proficiency is ambitious. It will take time and effort before large numbers of Mathayom 6 graduates are able to reach this level. Regardless of how long it takes before the majority of Thai students are able to realise these goals, there is general consensus among educators that the adoption of the CEFR is a vital step towards clarifying language goals and raising English language standards. Prior to this, the Thai MoE foreign language curriculum has been ambiguous and often interpreted differently from school to school. This ambiguity had hindered efforts to raise English language standards across the country. The implementation of the CEFR is a step forward, but one that will present numerable challenges. With Thailand’s poor record of implementing educational change there are genuine fears that it could suffer the same fate as other well-intentioned but poorly implemented educational innovations, such as the adoption of student-centered learning in 1999. Two measures that could drastically improve the chances of this policy succeeding are: adequate support and training for English language teachers, and new communicative English language assessments. So far the support and guidance given to teachers has been limited to one-day training sessions attended by representatives from various school. Many teachers and even some schools are still unaware of what exactly the CEFR is. Without continual guidance and support, the teachers involved in this initiative will be unable to successfully use the CEFR. Interestingly, a number of English teachers have been getting some firsthand experience of the Common European Framework as part of an initiative to assess the ability of all English language teachers in Government schools. Large numbers of Thai teachers took the internationally recognized Oxford Placement Test in 2014 and it appears the government is keen to ensure all the remaining teachers are assessed over the coming months. It’s not clear whether these results will be made public or what will happen to those teachers that are unable to reach a sufficient level of English language ability. However, this testing of English language teachers could be a positive sign that the government is waking up to the problem of Thailand’s poor English language standards and attempting to rectify the situation. If Thailand is to seriously adopt a framework for communicative language ability, it will need to develop assessments that can measure these abilities. Currently, the MoE relies on the O-NETs to measure students’ language abilities, but these multiple choice papers are only assess grammar, vocabulary and reading comprehension. The benchmarks of the CEFR specify that learners at B1 level can write letters and notes conveying information, verbally communicate using a wide range of language to deal with most situations and understand the main points of familiar matters regularly encountered in work, study and leisure. Multiple choice assessments are clearly unable to assess such skills. To accurately measure students’ progress in accordance with the CEFR, a new national examination would be required to assess reading, writing, speaking and listening abilities. Any new assessment will need to be flexible enough to allow students opportunities to demonstrate their independent communicative abilities. The assessment would need to be similar in format to IELTS, TOEIC or the Cambridge English assessments. If Thailand were to develop a new form of language assessment, it could have a huge impact on language learning in Thailand. All too often, schools, teachers and parents focus primarily on preparing for high-stakes assessments – teaching to the test. At present Thailand’s high-stakes tests are multiple choice assessments focusing on grammar and syntax. Students spend hours preparing for these at the expense of developing more essential communicative abilities. A test that actually measures communicative ability will encourage schools, teachers and students to adjust their focus towards the development of these more useful skills. With the opening of the AEC just a matter of months away and Thailand still struggling under a reputation of poor levels of English proficiency, it’s essential that some progress is made to rectify this situation. Let’s hope the adoption of the CEFR is the first of many much need steps towards raising English language standards in Thailand. Could Thailand become Asean’s International Education hub?